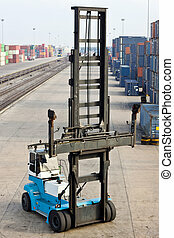 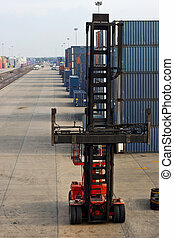 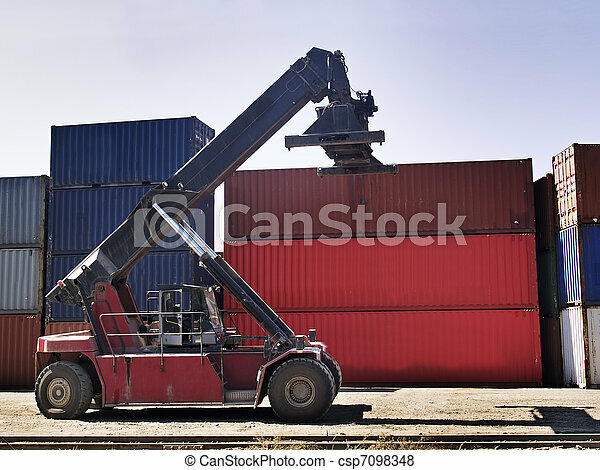 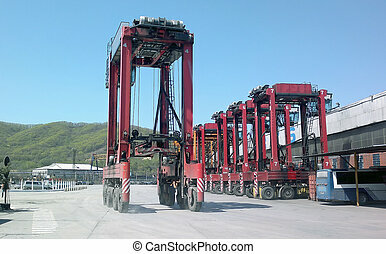 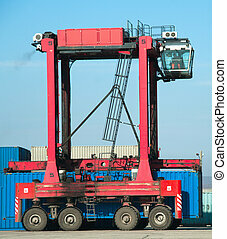 Container transportation machine. 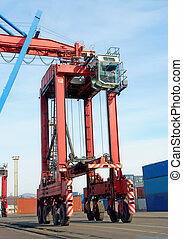 Portable crane for moving big containers. 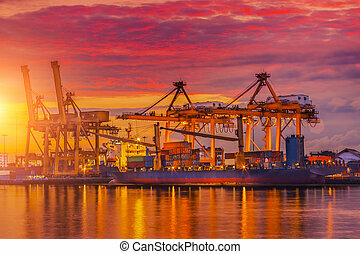 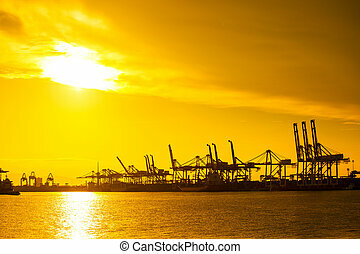 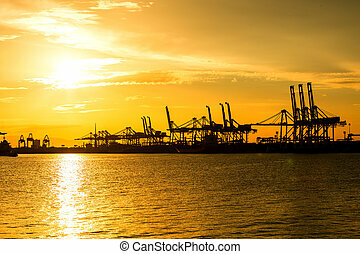 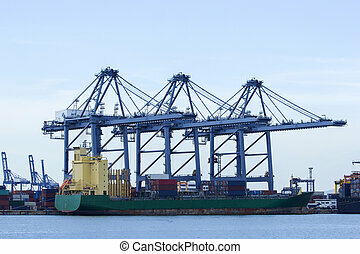 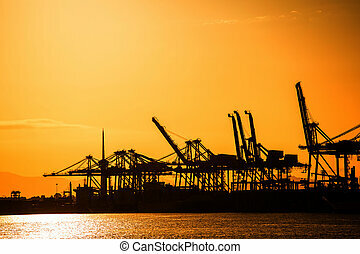 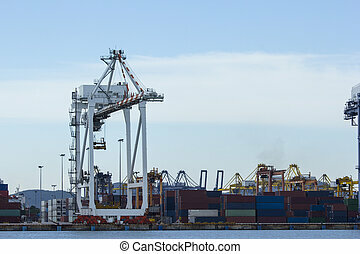 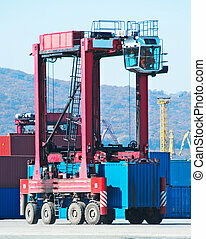 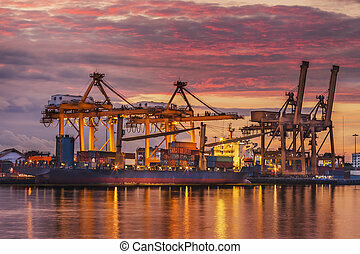 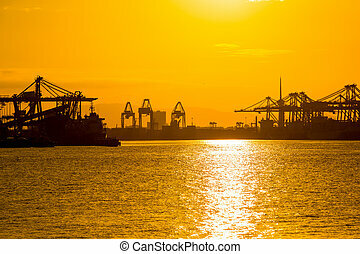 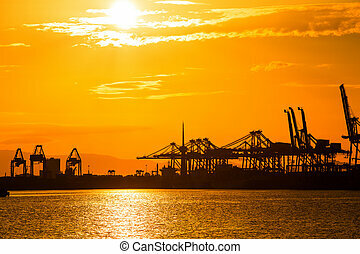 Port container terminal for transportation your product in the morning.